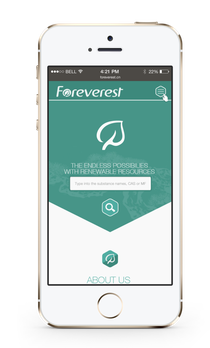 Foreverest.cn is our old official website had operated 4 years since 2010. This is time to say goodbye to the old-fashioned. We are restructuring and design a new one from May, 2014. It will publish to clients on July. At this version, there are some improving. First is responsive design, you can visit our new site with your devices, whatever is destop, tablet or your smart-phone. We try to present a comfortable experiences for you. Second is easy search bar, you can type CAS, MF, substance names, even the H.S.Code into the bar. The inside search shows the results like Google. If the results can not find what're you looking for, don't worry, navigation can guide you with Products Category and Application. Third is Application Guide. In the old version and Foreverest.biz, we make a heavy weight on Products Category. In this new version, we put Application Guide more important. Our clients, the purchase managers, formulators and trade angents, select the application what you need. Easy with interface. Fourth is Document Center. There is a data table in Document Center. You can download pdf of TDS and MSDS after a quick sign in. We will upload pdfs successively. In the future 5 years. We may develop more online function. Always keeping forwards in specialty chemicals industry. See you, this summer. July 2014.